Imam Haji Shamir Khan (Rahmatullahi ‘alayh) of Masjid Imdad, Toronto passed away on 16 Ramadan 1434 A.H. and was laid to rest after Salat al-Jumu‘ah on 17 Ramadan/July 26, 2013. May Allah give him a high place in Jannatul Firdaws, Ameen. The du‘a (supplication) at his grave after burial lasted for more than an hour. This is an indication of the extent to which he himself used to supplicate to Allah (SubhanahuwaTa‘ala). After migrating to Canada he began to mobilize the Muslims in the Jane & Finch area and organized Jum’uh, Taraweeh Prayers, Islamic Events and Arabic Classes at Community Centers, Public Schools, and Basements of apartment buildings in the area. Subsequently, he arranged a meeting at his home at Picaro Drive, North York, Ontario, elected a board and registered the Imdadul Islamic Jamaat of Toronto as a charitable nonprofit organization. It was Haji Shamir Khan’s vision to establish a Masjid in order to bring the Muslim Community together and raised funds to establish Masjid Imdad in Toronto of which he became Imam. He was solidly supported by his family, especially his very able wife, Hajin Shareenfun Nessa, and many Muslims, especially from his Guyanese community. Once, with tears running down his cheeks, he appealed to Muslims to donate for the Masjid, otherwise the Masjid would be founded on debt and interest would have to be paid. He was able to obtain qard hasanah (interest-free loans) to pay off the cost of the masjid. AlhamduLillah (All praise is for God). He loved Allah and was rewarded with whole night programs of Zikrullah (Remembrance of Allah) organized in the masjid. He loved our Beloved Holy Prophet Muhammad (ﷺ Sallallahu ‘alayhi was Sallam) and organized Milad-u-Nabi and Mi‘raj un-Nabi programs. He took care to explain that the Mi‘raj un-Nabi (ﷺ Sallalahu ‘alayhiwaSallam) was with both body and soul. He loved the Ahl al-Bayt (members of the Prophet’sﷺ household) (RadyAllahu ‘Anhum) and organized the annual Muharram majlis to mourn the martyrdom of the Shuhadaa of Kerbala. He loved the Khulafaar-Rashidin (the rightly guided caliphs Abu Bakr, Omar, Uthman and Ali) (RadyAllahu ‘Anhum) and recited their names in the Friday Khutba as well as after every four raka‘at in the 20 raka‘at of Salat at-Tarawih. He loved the Awliya Allah and the Salihin and they became his guests in the masjid. He loved all the ordinary Muslims. They listened to his advice and he won them over with his smile, easy manners and firmness where necessary. Before he came to settle in Canada, he was the Imam at age 17 years of a beautiful Masjid Anjuman Imdadul Twalaba Islam in Guyana and used to take Mawlana ‘Abdul ‘Aleem Siddiqui (Rahmatullahi ‘alayh) and Mawlana Fazl-ur-Rahman Ansari (Rahmatullahi ‘alayh) for various religious programs when they visited Guyana. 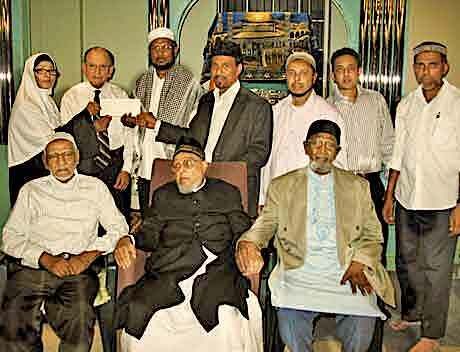 He said that they were able to defeat the heretical Qadiyanis in Guyana. He went for Hajj on the advice of Mawlana Shah Ahmad Noorani Siddiqui al-Qadiri (Rahmatullahi ‘alayh). When Mawlana Noorani visited Canada, he held a program at which he recited a poem which he had composed in his honour. 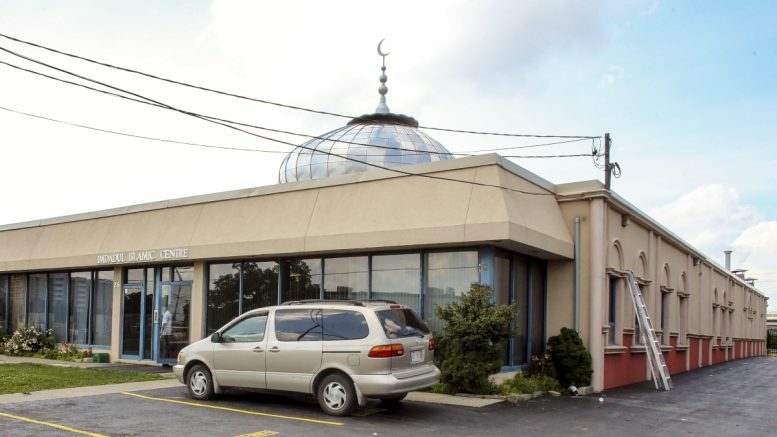 The Masjid Imdad that he founded in Toronto became the main centre for the visiting Sunni Ulama from many countries who came for the Grand Annual Milad-un-Nabi Conference organized by the World Islamic Mission Canada. Among the luminaries who prayed there or gave a talk were Imam Muhammad Alawi al-Maliki (Rahmatullahi ‘alayh) of Makkah, Shaykh Muhammad Abu Bakr Ba Shu‘ayb of U.K. and Dr. Farida Ahmad Siddiqui of Pakistan. Imam Haji Shamir Khan was multi-lingual. He used to recite Qasaids and Naats in four languages; Arabic, Urdu, Farsi and English. He always remembered the Surahs he recited in Salah (Prayer). This is perhaps one of the indications of the acceptance by Allah of his Salah. He initiated provision of Iftar in the masjid over weekends in the month of Ramadan, and subsequently, Iftar is provided every day for everyone to break the fast, MashaAllah. He was a stickler for tradition and organized Qiyamul-layl to worship Allah (SubhanahuwaTa‘ala) on Nisf Sha‘ban, (the fifteenth night of Sha’ban) with a visit to the graveyard to pray for the deceased. He insisted that not only do we have to make provisions for ourselves and our families when we are alive but also when we die hence Imdad purchased several Muslim burial plots to facilitate this need in our community and he advised that Imdad will undertake the burial for anyone that cannot afford it and the Masjid Imdad will be available for family gatherings at no cost. He organized the distribution of Sadaka, Zakaat and Zabiha meat on the occasion of ‘Id al-Adha. He initiated many good deeds, too numerous to mention. He became a Certified Muslim Marriage Officer in the Province of Ontario and advised people not to live in sin and got them married. He was the recipient of many awards from the Government of Guyana, City Of Toronto and different Faith Communities for his charitable and social work and made a lot of friends in different circles with his wisdom and humility. 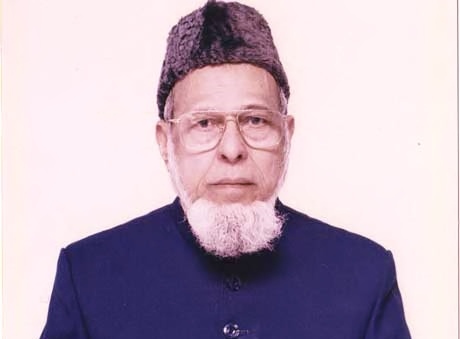 He was well-known for giving ghusl to the deceased, leading Salat al-Janazah, reciting du‘a (supplication) at burial and organizing the recitation of Khatm al-Qur’an. He had basira (inner-sight) and could easily discern the usefulness of each person he met. Ever since Masjid Imdad has been well established, officials of many masajid have come to this masjid to raise funds to establish masajid in their areas, alhamdulillah. A Madrasa (religious school) was established at the Imdad Islamic Centre and conducted by Ustadh Haniff Bagh Khan, another wise elder of the Guyanese community who was also appointed the Religious Advisor of Imdad Masjid. Ustadh Bagh Khan was a pharmacist by profession but dedicated his life to teaching Arabic to all ages through his Simplified System that is used Internationally by non-Arabic speaking individuals. Ustadh started this Simplified System in Guyana in the 1950’s. He established the first Islamic Centre at Stabroek Market Square in Georgetown that attracted Muslims and non-Muslims to attend classes there. Ustadh produced many scholars who have gone on to become leaders in communities worldwide. Here in Toronto, The Simplified System of Reading Arabic attracted many students young and old to Imdad Centre. The System was very popular and was taught free of charge, books and audio tapes were distributed at no cost to the community. At one time Ustadh was teaching The Simplified System at five public schools in the GTA through the courtesy of the Ministry of Education, Heritage Language Division. Ustadh Bagh Khan wanted to make the reading of Quran very easy for non-Arabic speaking people. He, therefore, translated and transliterated several surahs (chapters) of the Quran which are currently used by inmates in prisons and Madrasas and Institutions around the world. Learn to read Arabic in 21 days through Haniff Bagh Khan’s Simplified System For English-Speaking Students continues to be very popular and is being used by Islamic Schools around the World. 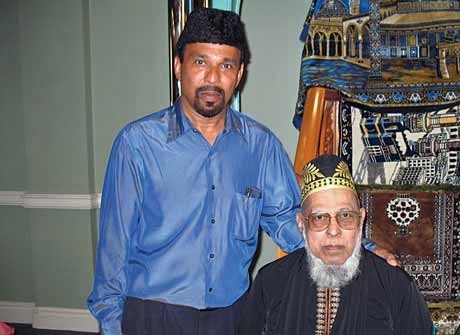 A simple but resolute Imam from the remote areas in Guyana Haji Inshan Alli embraced this vision of Haji Shamir Khan and became the Deputy Imam of Imdad Masjid. Imam Haji Shamir Khan, Religious Advisor Ustad Bagh Khan and Deputy Imam Haji Inshan Alli were founder members of Imdad Masjid and today their legacy continues with their children and their families with the recent acquisition of Imdad Annex. Alhamdulillah through the blessings of Allah SWT, the generousity of its members and others with donations and Qard hasanah Agreement the Imdad Annex is now paid off after 2 years from the date of purchase as was the case with Imdad Centre. This Imdad Annex will enhance the current programs of Imdad and expand it to accommodate banquet facilities, social programs, youth programs, funeral and janaza for the deceased. We have also recently purchased 120 burial plots and currently have over 600 burial plots at Beechwood Cemetery that is conspicuous with the Imdad Logo to mark the Muslim Section for burial. Imdad also has burial plots at Senlac in North York and Memorial Gardens in Brampton in promoting the vision of Imdad. The Imdad Annex allows us to accommodate for more than a thousand brothers and sisters for Iftar during Ramadan. All programs at Imdad are at no charge. Arabic Classes – Ustad Bagh Khan’s teachings of Simplified Arabic System etc. Last Saturday of every month is Sisters program. 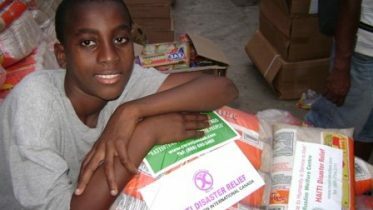 First Sunday of every month is Feed the homeless. May Allah SWT accept our humble effort.